With colleagues Claudine Hauri and Andrew McDonnell, we have collected the first autonomous based profiles of oceanic CO2 partial pressure. Colleagues Mark Baumgartner and Dave Fratantoni at WHOI have developed a system to listen to and identify whales using passive acoustic recorders mounted on AUVs. We will equip gliders with their system and deploy them in the Chukchi Sea. In 2017, WHOI posted real-time accoustic measurements. In 2016, WHOI posted real-time accoustic measurements. 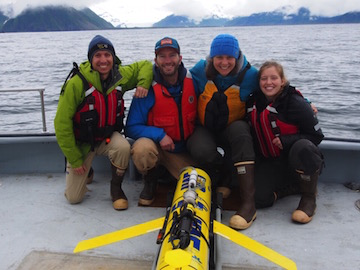 In 2015, glider g191 was deployed and WHOI posted real-time accoustic measurements. 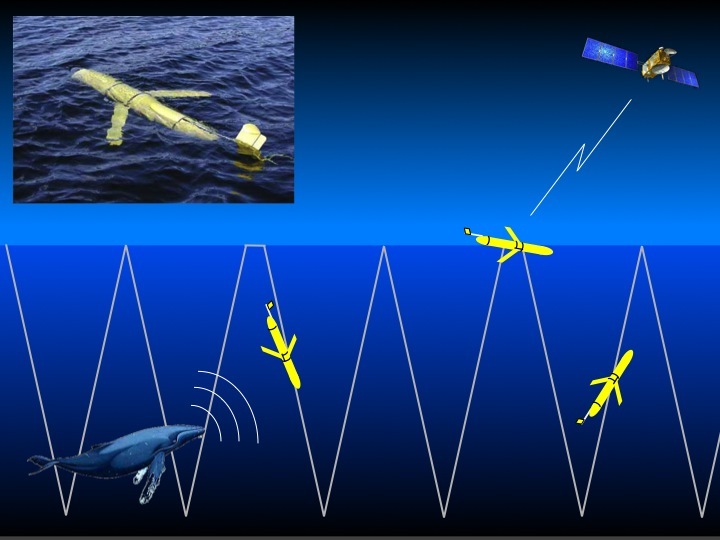 In 2014, glider we04 was deployed and WHOI posted real-time accoustic measurements. 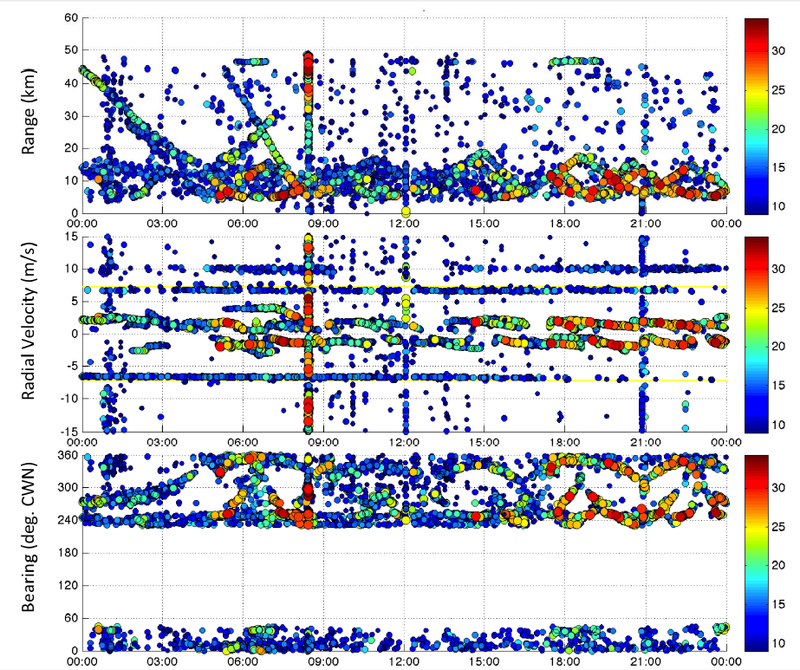 During the Sept. 2013 cruise, WHOI posted real-time accoustic measurements. 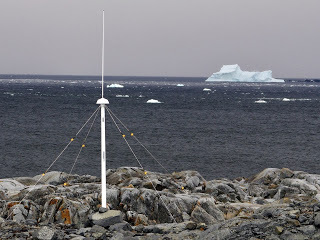 This project consists of a moored array designed to detect formation of sea ice through measurement of temperature and salinity at multiple depths in the water column. The deployments occurred in September 2015 and 2017, near the location of the Chukchi Ecosystem Mooring site located at 71.59995 N, 161.5007 W.
We are part of a collaborative NSF funded project called CONVERGE, which is designed to investigate the impact of physical processes on Adélie penguin feeding. Our part of the project is to contribute current measurements to the Palmer Station Long Term Ecological Research (LTER) program. 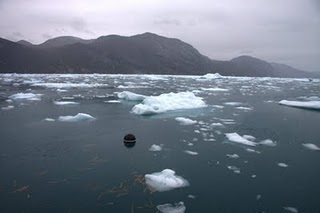 Echoes from our HFR signals are being used to detect vessels in the Chukchi Sea as part of the U.S. Department of Homeland Security's (DHS) Maritime Domain Awareness. 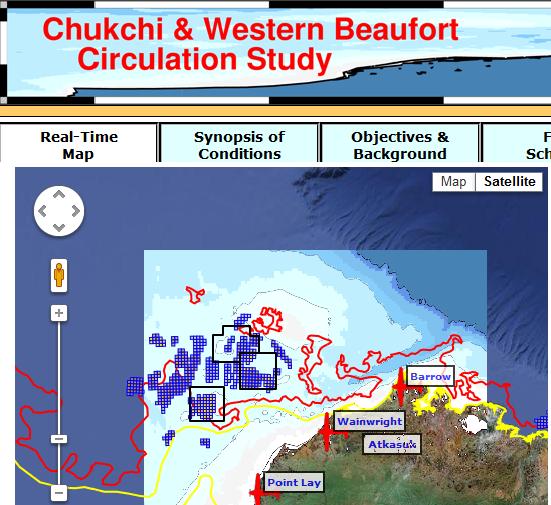 For several years, we have been studying the currents of the Chukchi and Western Beaufort Seas using a range of techniques, including drifters, gliders, HFR measurements of sea surface currents, Acrobat CTD surveys, moorings. There is a web-based data tool that displays data from many of these instruments in real-time. "Marine measurement technology development: Integrating in-situ biochemical sampling on an autonomous underwater glider vehicle"
copyright © 2010 art lab | Last modified: April 25 2018 00:41:38.